Asian markets overnight showed contagion from last week’s US asset bloodbath. 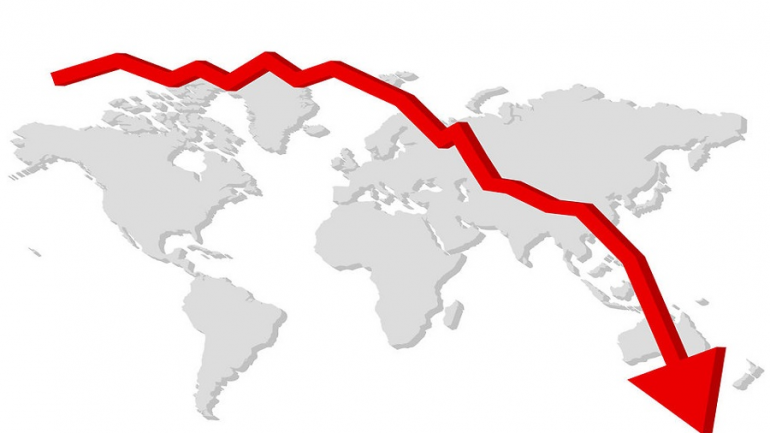 The Nikkei this morning was down 3% and the Hang Seng – 2.17. Last week’s risk-driven increase in the Yen was stymied as the week ended and continued sideways overnight after CPIs disappointed – remaining flat at 0.2%. Industrial activity this morning continues south, though the -0.2% reading was an improvement on December’s -0.6%. At present, all eyes are on the upcoming renewal of trade talks with China, which seems prepared to succumb to US demands that it double imports to close the trade gap, but is less willing to enact structural reforms that include stronger oversight over intellectual property theft. At present, China seems more open to easing restrictions on financial service companies entering its economy than technology, which is considered a boom industry that must be protected at home. Yesterday, China’s finance minister admitted that he would not be able to balance the budget this year due to spending and tax cuts aimed at spurring growth. The cost of the China-US trade war so far – as estimated by the US Chamber of Commerce stands at about a trillion USD. The pound continued climbing as the week ended after Theresa May was granted an extension on Brexit. Parliament is expected to vote once more in May’s deal tomorrow, though a change of direction – amidst growing calls from within for the PM’s resignation – is unexpected. Retail figures came in in the green, showing a marked improvement year-on-year, as the BoE held interest rates steady Thursday. The extension received, however, was less than that requested, and to date, over 4 million Brits have signed the anti-Brexit petition. Throughout the zone, consumer confidence rose to -7.2 in March, disappointing analysts – as did the latest PMIs – manufacturing down 2 points to 47.6, services down a tenth and the composite half a point to 51.3. PMIs in Germany and France also came in below expectations. Watch this morning’s IFO sentiment markers from Germany for further indication of Euro action. Despite yesterday’s exoneration of collusion charges by Special Counsel Robert Mueller, US indexes continued last week’s down trend, after the Fed-generated 350-point increase was immediately followed by a 400-point plunge. The double-headed movement was ascribed to the plunge in dollar assets following last week’s Fed minutes that immediately recovered at the expense of equities. On Friday, the 3-month and 10-year bond yields inverted – the former now at 2.46 and the latter at 2.43% – staging a situation that many analysts consider a herald to a recession. Concurrently, US PMIs all dropped 2 points, while existing home sales healthily increased. This morning, Philadelphia Fed head Patrick Harker could address concerns at his 10:30 speech, while his Boston colleague Eric Rozengren is expected to speak at ½ past midnight. Oil failed once again to break the $60 mark on Friday despite a 9-well reduction in the Baker Hughes rig count – this primarily due to the dollar rebound. Upward pressure continues thanks to the Russia-Saudi consensus on the need to stem production, but is being downtrodden by global economic concerns that could impinge upon demand. Meanwhile, gold gathered some steam overnight in the Asian session, despite end-of-week USD strength, this – again – thanks to geopolitical concerns re Brexit and the scheduled US-China trade summit. Apple will be revealing its new video service today. Last week, shares rose by 2.7% in anticipation of the event, though product announcements have influenced stocks less over recent years than in the company’s heyday. Meanwhile, Boeing continues to sink (-2.38%) as more and more US carriers extend the grounding of its 737 MAX. Join the markets to trade on the price action generated by these events today!